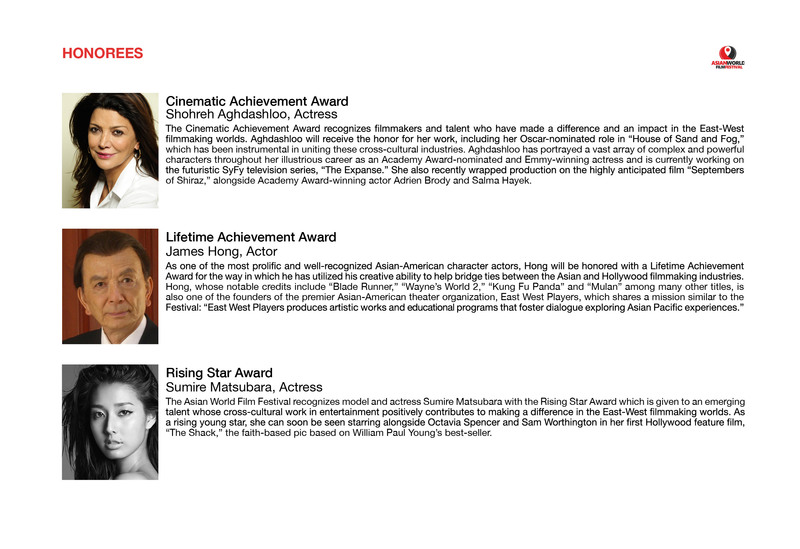 The Asian World Film Festival is organized under Aitysh USA, a 501(c)(3) charitable non-profit organization, and operates according to the organization's guidelines. Over the past two years, 2015-2016, there have been 56 Oscar submissions from the Asian region for Best Foreign Language Film. The Asian World Film Festival has screened 38 of these films, one of which was nominated, 'Theeb' from Jordan and one shortlisted, 'Paradise' from Russia. During the same time period, the Festival has also screened 26 Golden Globe submissions, one of which, 'Theeb', was nominated.